The Rita Allen Foundation has named its 2018 class of Rita Allen Foundation Scholars, recognizing seven young leaders in biomedical science whose research has the potential to lead to groundbreaking new discoveries and advance human health. The selected Scholars will each receive grants of up to $110,000 annually for a maximum of five years to conduct innovative research on a range of topics—including how the interpretation of chemical signals is disrupted in neurological disorders, how cells communicate with one another, the biology of insects’ social behavior, and the neural circuits that connect breathing and cognition. Rita Allen Foundation Scholars are selected based on their creative, promising approaches to investigating crucial problems, raising the potential for significant breakthroughs in their fields of study. The Scholars were nominated by major research institutions and selected by the Rita Allen Foundation’s Scientific Advisory Committee. Since 1976, the Rita Allen Foundation has invested in more than 150 biomedical scientists at the early stages of their careers, enabling them to pursue research directions with above-average risk and promise. Scholars have gone on to make fundamental contributions to their fields of study, and have won recognition including the Nobel Prize in Physiology or Medicine, the National Medal of Science, the Wolf Prize in Medicine, the Lasker-Koshland Award for Special Achievement in Medical Science, and the Breakthrough Prize in Life Sciences. The Greer Lab is broadly interested in the fundamental questions of how animals sense and interpret chemical signals to generate appropriate organismal responses and how these processes are disrupted in human neurological disorders. One particularly important chemical sensing cell is the microglia, the resident immune cell of the brain. Microglia represent approximately 10% of all of the cells in the central nervous system and have been implicated in a variety of nervous system processes ranging from immune responses to pathogens to synaptic development and refinement. In addition to these functions, microglia are also thought to play a critical, but still largely unclear, role in a variety of neurological disorders including Parkinson’s disease, ALS, and Alzheimer’s disease. Dr. Greer’s work seeks to elucidate the role of microglia in these disorders with the hope that this will eventually lead to new therapeutic strategies for combating these devastating human diseases. What will funding from the Rita Allen Foundation allow you to do? Funding from the Rita Allen Foundation will allow me to investigate an exciting new direction in Alzheimer’s disease research, which without this generous support would have been extremely challenging to pursue in my new lab. What is your favorite science-related book? The nuclear membrane has long been pictured as a static barrier between the nucleus and the rest of the cell. However, recent work challenges this assumption and implicates abnormal nuclear membrane dynamics as triggers for several pro-oncogenic processes. The Hatch Lab previously observed that micronuclei, small nuclear compartments that form around missegregated chromatin, frequently undergo nuclear membrane rupture in interphase. This membrane rarely repairs, resulting in chromosome fragments or whole chromosomes being left in the cytoplasm. Dr. Hatch demonstrated that membrane rupture has severe consequences for this chromatin, including significant DNA damage, which frequently results in massive chromosome re-shuffling, and DNA under-replication, which causes aneuploidy. In addition, work from other labs suggested that micronucleus membrane rupture is a major activator of innate immune signaling pathways in cancer cells. Dr. Hatch’s goals are to determine why the nuclear membrane is so fragile in micronuclei, and to develop new tools to understand how membrane rupture causes genome instability and immune pathway activation and identify additional potentially pro-oncogenic consequences. Any book by Mary Roach. She approaches science with a joy and curiosity that I identify with. She highlights how scientists and studies that, on the surface, sound really out there actually have important implications in daily life and how we understand ourselves. Dr. Luca’s lab studies how surface receptors enable cells to sense their environment and communicate with one another. As a general strategy, he uses x-ray crystallography and other structural biology techniques to visualize the interactions between receptors and their ligands at high resolution. By “seeing” these complexes at the atomic scale, Dr. Luca and his colleagues can determine how biophysical parameters such as ligand docking geometry and surface chemistry regulate downstream signaling. The goal is to harness this structural insight to guide the engineering of proteins that will modulate receptor activity for biomedical applications. At the moment, Dr. Luca’s main focus is on understanding signal transduction in the Notch pathway, an ancient signaling system that controls the development of both normal and cancer stem cells. However, his lab is also actively expanding its research program to include receptor systems important for immune regulation, tissue organization, and cellular waste disposal. How did you enter this career path? Was there anyone or anything that particularly inspired you? Since I was very young I have been fascinated by the immense diversity of organisms in nature. Both my mother and father were the first in their families to graduate from college, and despite not having backgrounds in science, they made every effort to nurture my interests by taking me to museums throughout the country and by enrolling me in advanced science programs in school. In high school, I had an outstanding teacher, Mr. Randy McGonegal, who inspired my passion for molecular biology. Mr. McGonegal made an amazing effort to hand-draw and narrate diagrams of complex biological systems that described how many cellular processes were orchestrated by intricate molecular machines. Through these visualizations I came to realize that by reprogramming these machines one could develop drugs or technologies with transformative potential in the field of biomedicine. My favorite science-related book is I, Robot by Isaac Asimov. I, Robot outlines the philosophical implications of the development of artificial intelligence in machines. I also deeply enjoy the short story “The Last Question” by Asimov, which discusses the interconnectivity that arises between people as a result of technological advances. Given the ongoing explosion in mobile computing, social media and machine learning technology, I find these types of ethical considerations to be particularly relevant. I have always been deeply amazed by how accurately science fiction writers are able to predict the future. Joseph Parker has been designated the Milton E. Cassel Scholar for the 2018 class of Rita Allen Foundation Scholars. This special award honors the memory of a longtime President of the Rita Allen Foundation who passed away in 2004. Understanding how brains perceive other organisms and select behavioral outputs that foster social interactions is a major challenge in neuroscience. 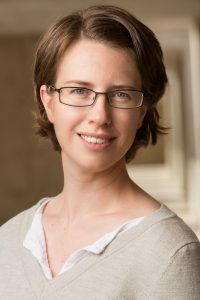 Dr. Parker’s laboratory is developing a unique model system to explore how social behavior emerges through evolutionary changes in neural circuitry. Rove beetles (Staphylinidae) are a remarkable group of organisms in which many independent lineages have evolved into social symbionts: stealth impostors that employ behavioral and chemical adaptations to assimilate into the complex societies of ants. 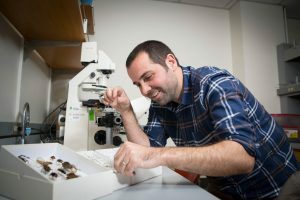 Using a combination of genetic tools and in vivo imaging of neural activity, Dr. Parker’s lab is studying brains of free-living and symbiotic beetle species to illuminate evolutionary changes in neural architecture that underlie the emergence of social symbiosis. The interaction between beetle and ant provides a tractable model for understanding how social relations and symbiotic interactions are able to evolve generally in the animal kingdom. My long-term vision has been to develop a model system for exploring social behavior and interspecies symbioses. Funding from the Rita Allen Foundation provides me with the crucial flexibility to begin tackling these challenging biological phenomena with the novel and creative approaches they demand. Insects have always been my inspiration: I began collecting and studying them when I was seven years old, and I discovered rove beetles and their remarkable symbiotic lifestyles as a teenager. So, I have been truly fortunate to have had the opportunity to transform a lifelong fascination with these insects into a career. Bert Hölldobler and E. O. Wilson’s Journey to the Ants. Breathing is essential for our survival, and we often do it without thought. However, we also know that controlled breathing (e.g., taking deep breaths) can powerfully impact complex brain functions such as cognition and emotion. While scientists have demonstrated the close connection between breathing and cognition, the underlying neural circuits in the brain that control this phenomenon are unknown. Dr. Schwarz’s lab aims to define how brain areas that regulate respiration and cognition are connected and learn how they influence each other to affect mental state. Dr. Schwarz’s lab is focusing on a small population of neurons in the mouse preBötzinger complex (preBötC), the brain area responsible for initiating respiratory rhythm. These neurons were recently found to be dispensable for respiration; instead, they significantly influenced an animal’s interest in its surrounding environment via a connection to the brain’s main arousal center, the locus coeruleus. Now, Dr. Schwarz is generating new tools to precisely manipulate this neural circuit in animals, to better understand how respiratory circuits modulate arousal and cognition. I’m from a small town and growing up, and I wasn’t really aware of what scientists did. I had a vague (and false!) impression that it would involve memorizing facts from textbooks and observing things. But in high school, I was very fortunate to have a teacher who created an extracurricular molecular biology lab in the back of our classroom, and I was completely hooked by the hands-on aspect of doing experiments. The process of designing and conducting an experiment, even if it fails, is still my favorite part of this job. 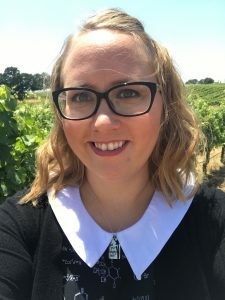 This isn’t a book, but a favorite science-related resource of mine, especially as a woman in science, is Dr. Adrienne Fairhall’s website How Does She Do It? The site highlights the experiences and advice of many influential female investigators whom I look up to, and I’ve gained a lot of encouragement and confidence from their stories. Earlier this year we announced two Rita Allen Foundation Award in Pain recipients in partnership with the American Pain Society. This marks the 10th year of this collaboration, which supports early-career researchers who aim to understand and alleviate pain. Dr. Lai explores the development, connectivity and plasticity of neural circuits that function in proprioception, as well as the sensing of touch and pain. 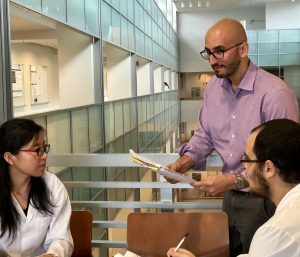 Dr. Lai and her research group will investigate mechanisms that underlie a type of congenital insensitivity to pain (CIP), a rare but extremely dangerous condition that causes injuries to go unnoticed. One of the genetic mutations found in patients with CIP affects the functioning of PRDM12, a regulator that represses gene expression by chemically modifying the histone proteins that associate with DNA. To determine how PRDM12 regulates the activity of genes involved in sensing pain, Lai plans to create a mouse model of the disease to find the molecular mechanisms that cause painlessness. Dr. Lai hopes the findings will guide strategies to help patients with CIP, as well as point to new targets for treating pain. Dr. Paulsen explores the structural imaging of proteins, using cryo-electron microscopy to determine the structure of the “wasabi receptor,” also known as TRPA1. An ion channel embedded in cell membranes, TRPA1 initiates pain signaling in the nervous system. In addition to wasabi, horseradish and mustard, it can also be activated by fuel exhaust, and by the body’s internal signals in cases of injury and inflammation—including chronic conditions such as arthritis and asthma. 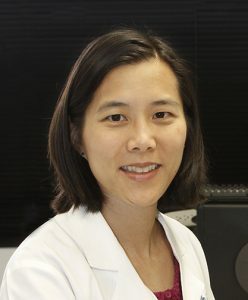 Dr. Paulsen recently started her independent lab at Yale, where she plans to tackle a number of questions raised by her initial studies on the structure of TRPA1, including more detailed studies on the activation of TRPA1 and its interactions with other molecules and proteins, including factors that affect the initiation of pain and inflammatory signals. Ultimately, Dr. Paulsen hopes this work will inform new strategies for treating chronic pain, such as targeted approaches that alter the activity of TRPA1.